This large, sophisticated strand of pearls features white South Sea pearls that are an exotic luxury. 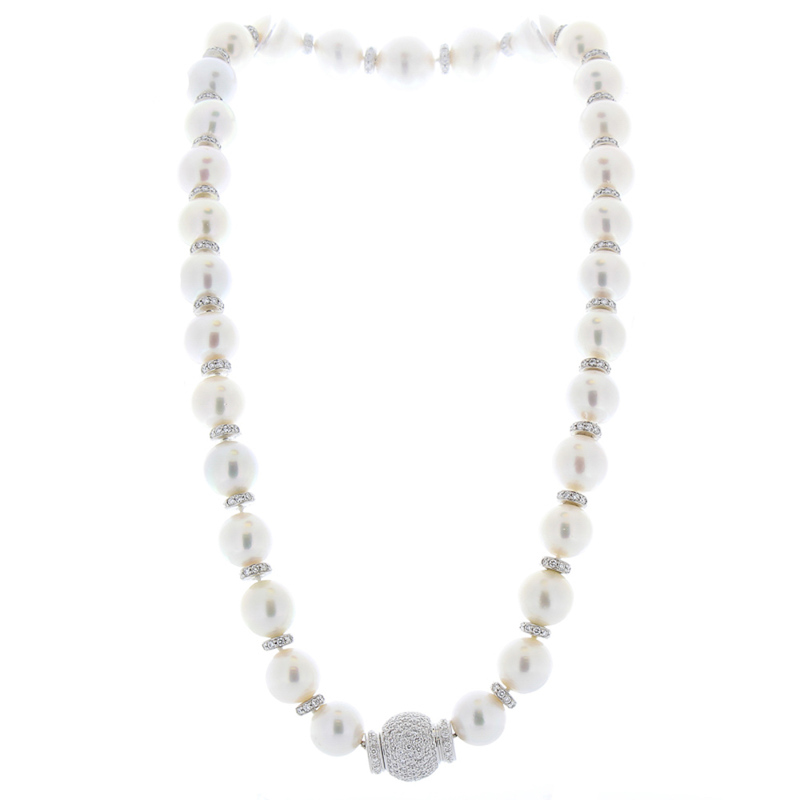 This necklace features 12-14 millimeter South Sea pearls, perfectly ivory white color matched. Dazzling diamond roundels are stationed between each one. The clasp is a sparkling pave diamond ball fashioned of 18 Karat white gold. This piece boasts 9.40 carat total diamonds. It is timeless and bold in its design. No eye will be able to resist this captivating statement.